Chimney Hill of Mount Snow Vermont is a unique community of private homes nestled on a wooded hillside bordered by the Green Mountain National Forest and surrounded by a four season recreational area. The clubhouse is outfitted with an outdoor pool and an indoor pool, hot tub, sauna, children's play area, lighted Basketball court and lighted Tennis court, a Bocce court and horseshoe pit, and everything else to make an outdoor enthusiaist jump. There's also a stocked fishing pond, playgrounds, and picnic areas, throughout the community. The surrounding area of the Mount Snow valley offers two top-rated golf courses, Vermont's largest man-made lake, live entertainment, and award-winning restaurants. Winter and spring are just as much fun. 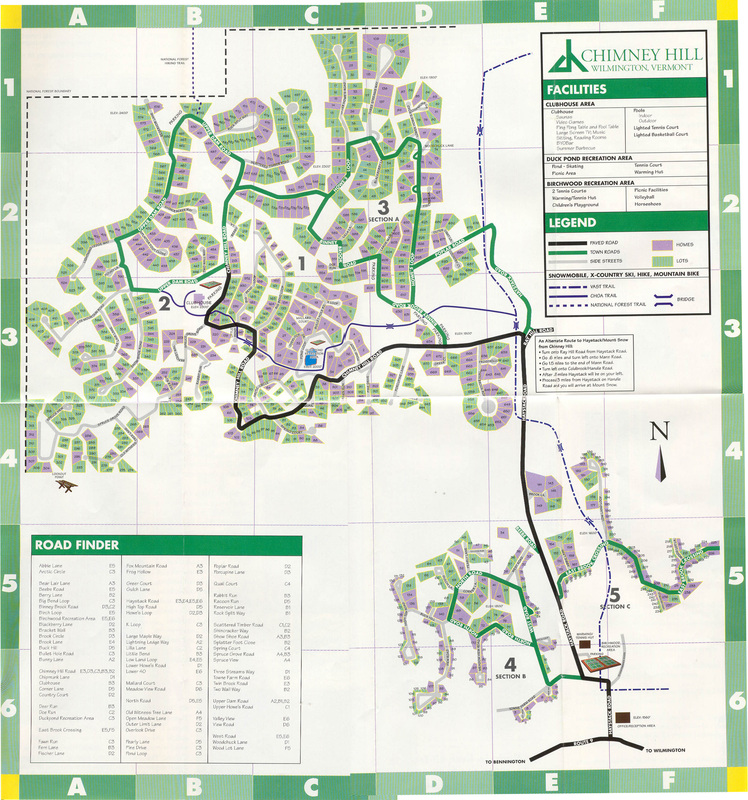 Chimney Hill is located on the VAST Snowmobile trail network with many homes having direct access. Chimney Hill has also created a network of non-motorized wilderness trails for hiking, snowshoeing and cross country skiing. The outdoor ice skating rink (with warming hut) is a great place for the whole family. Some of New England's best downhill skiing and snowboarding can be found just minutes away at Mount Snow Ski Resort.